For years CCB has been a distributor for Nicom, the leading brand of NCE antennas based on coverage, reliability, construction (solid stainless steel), and economy. 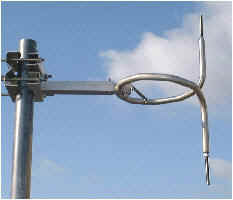 These outstanding antennas are custom-made in California and rated for up to 20,000 watts ERP. 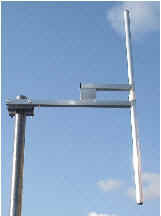 Options include the Linear Polarized BLD1/P, BKG1/P, BKK2, and BKY3 series, the Circular Polarized BKG88 (regular narrow band) antennas, and Circularized Polarized BKG77 (winterized broadband) series. Antennas may be stacked, up to eight bays. While dozens - hundreds - of combinations and configurations are possibly, each station's selection is limited by the terms of its Construction Permit. For example, many NCE broadcaster are close to Channel 6 TV stations and thus are required to use Linear (vertical) polarization. Other factors that must be considered are the pattern, transmitter power, ERP, and even weather conditions (i.e. winter icing).